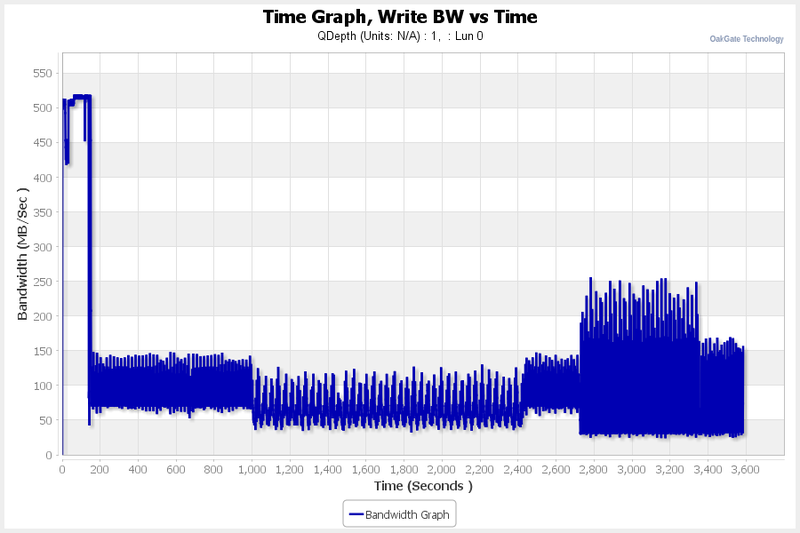 speed falls dramatically from around 520 MB/s to around 100 MB/s. 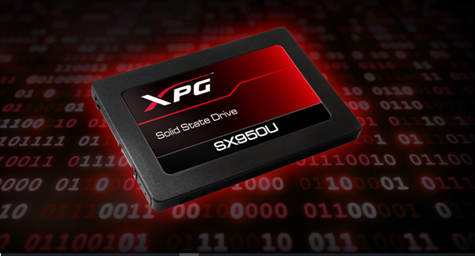 experience such a drop in write speed. 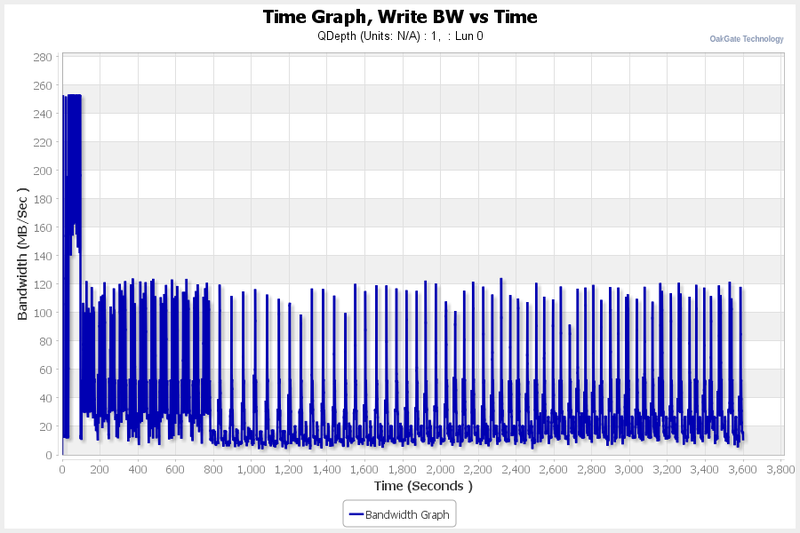 settles into a steady state oscillating around an average of 30 MB/s. 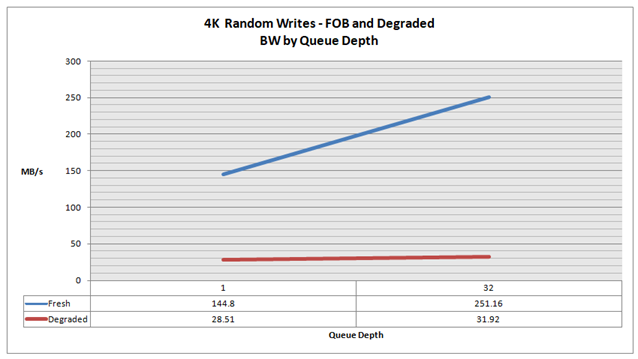 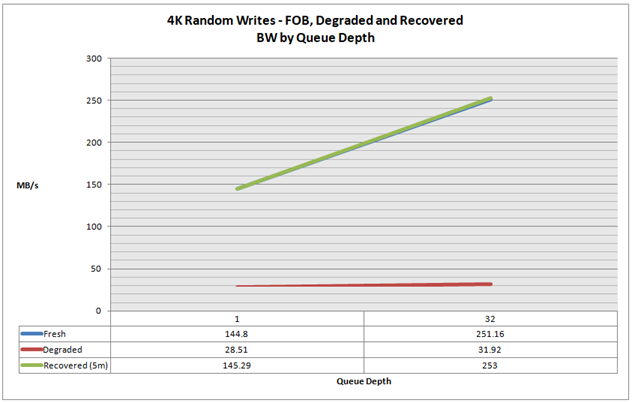 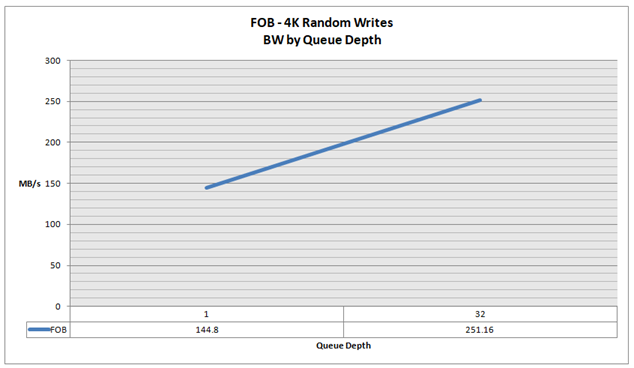 both the burst of writes at a Queue Depth of 1 and at a Queue Depth of 32.